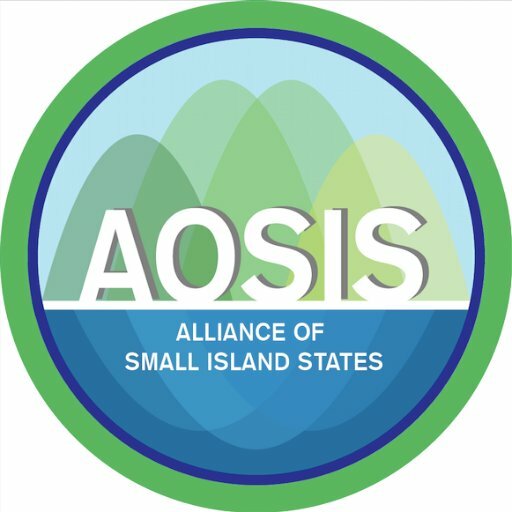 It is my honour to deliver this statement on behalf of the Alliance of Small Island States (AOSIS). Allow me to offer my sincere congratulations to all the panelists for a very rich discussion this morning. AOSIS welcomes this year's very relevant thematic discussion on "Infrastructure for sustainable development for all". Infrastructure as a tool and a key enabler of sustainable development has been identified not just in the 2030 Agenda and the Addis Ababa Action Agenda, but also in the SAMOA Pathway - the roadmap for achieving sustainable development for us SIDS. The Sendai Framework for Disaster Risk Reduction also highlights infrastructure as a fundamental component of addressing disaster risk and management, as it supports prevention, resilience and reconstruction efforts. To this end, we also note with appreciation the establishment of the new Global Infrastructure Forum, led by the multilateral development banks in April this year. The Addis Ababa Action Agenda estimates the infrastructure financing gap in developing countries to be between 1 and 1.5 trillion dollars annually. This is an enormous gap that has repercussions for the ability to achieve the SDGs. Moreover, the SG's report on infrastructure specifically points to the additional and context specific challenges that this financing gap poses to countries in special situations, particularly in SIDS. With small economies, dispersed populations, high import dependency and the inability to achieve economies of scale, financing for resilient infrastructure poses significant challenges for us. For SIDS, the spillover effects of physical infrastructure contributing to effects on health, on education, on our ability to respond to natural hazards, and in all other social sectors are tremendous. Our islands are scattered with significant distances between one another, and from major economic hubs or other countries, therefore transport sector is of deep importance to us. Being sea locked, access to well-functioning and reliable transportation systems, in particular maritime systems, is vital. Seaports and airports are the lifelines sustaining our survival, especially since we are highly dependent on transport-intensive imports for much of our consumption needs, for example food and energy. Transport infrastructure also has grave implications in developing our health, employment and education sectors, for instance.While we understand the importance of diversifying all sources of financing to fill the infrastructure gap, the reality we are faced with is, that private sector financing is especially challenging for us. Usually characterised as high risk countries, because of high debt to GDP ratios, with little to no economic returns as incentives, private financing remains elusive. Private sector within SIDS also remain underdeveloped and confined to micro, small or medium enterprises. Public sector financing for longer term resilient infrastructure, while a priority for our governments, therefore requires a lot of support from the international community. Additionally, most SIDS are categorized as middle income, thus making us ineligible for concessionary financing. This criteria that takes into account our GDP, but not our structural vulnerabilities relating to fragile ecosystems, climate change and natural hazards, makes access to financing that much more difficult. Generating finance for modern, resilient infrastructure is a prerequisite for developing our economies, for shielding us against the effects of climate change, and for preparing our workforce and integrating them into the global economy. A spirit of partnership, one of mutual benefit and mutual respect, stands at the core of achieving this. I take this opportunity to thank you, and congratulate you again, for this very fruitful discussion, and urge all our partners to support the most vulnerable in our efforts.